Jaipur is your doorway to the flamboyance and decadence of Rajasthan. It is a city in northern India where monkeys are sacred and palaces glow with ancient regal opulence. Jaipur is the capital of Rajasthan state and home to over 6 million people. Popular attractions in Jaipur include the Amber Fort and Palace, Hawa Mahal, and Monkey Temple. Get ready to experience the remarkable energy of India with cheap flights to Jaipur. A 30-minute car drive or 1-hour train ride will get you from Jaipur International Airport to the buzzing heart of the city. Witness a Kathak performance beneath the light of a full moon at the Deewan-e-Aam of Amber Fort, get lost in Bapu Bazaar, and indulge in sweet treats at Laxmi Mishthan Bhandar. Wander around Jaipur and you will encounter lavish palaces that date back to a time when royals ruled the city. Amber Palace, City Palace, and Hawa Mahal are the most famous. 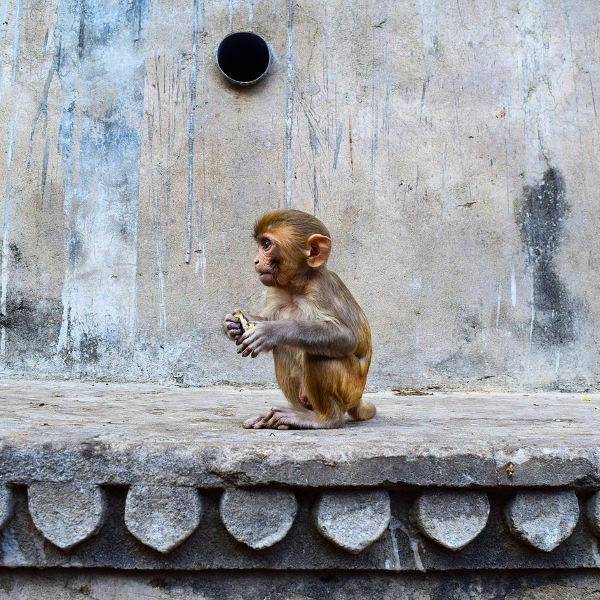 The rhesus macaque monkeys that inhabit the city are notorious for their unruly, thieving ways, but live in luxury because they are believed to personify Hanuman, the cherished 'Monkey God'. The weather in Jaipur tends to be hot and humid throughout the year, with a monsoon season during July and August. If you want to experience a real Indian summer, the months from April to June bring hot and sticky weather that will be unbearable, but that will be heaven for heat seekers. But to experience the best of Jaipur without the blazing temperatures, the best time to visit is during winter (November to March) when the weather is dry, warm, and sunny. On the edge of the Great Indian Desert is a city where the streets glow pink and the scent of spices mingles with the old-world elegance of Indian royalty. This is Jaipur, your gateway to the flamboyant state of Rajasthan. Like most cities in India, Jaipur is a place where your senses will be taken on the ride of their life. Whether you get caught up in the wild energy of one its festivals or you are wandering through the streets in search of the perfect kachori and masala chai, Jaipur is a sensory experience. 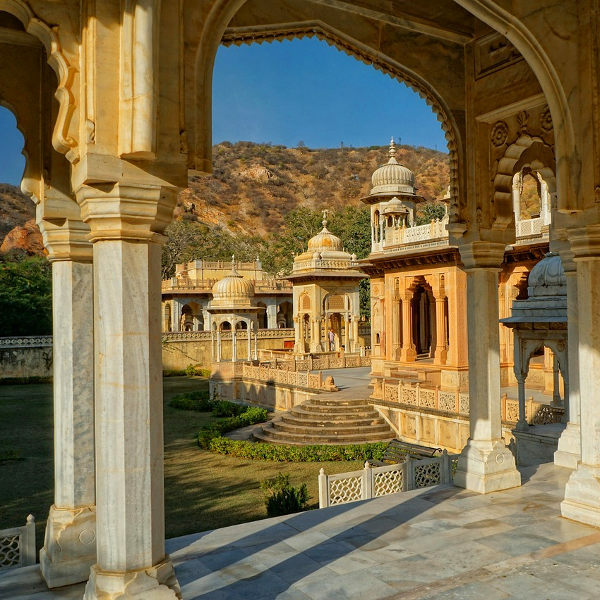 But when you are done following your nose through the bazaars and treating your taste buds to local delicacies, Jaipur is also famous for its exquisite forts and palaces. Three of the most mesmerising palaces in Jaipur are Hawa Mahal, Rambagh Palace, and Amber Palace. While it is easy enough to set out an itinerary of things to do and see in Jaipur, some of the most remarkable experiences are the ones you can’t plan and don’t expect. This is India after all, a country that is as unpredictable as it is unforgettable. Compare several airlines and book your cheap flights to Jaipur online at Travelstart! 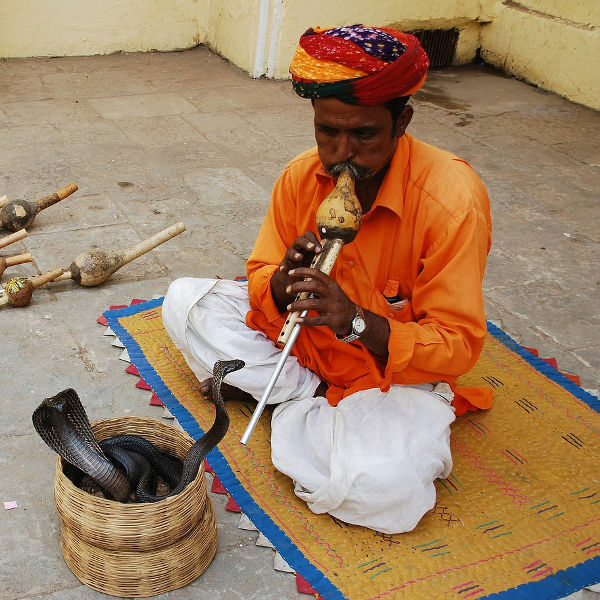 India is plagued by poverty, so crime can be a problem. You should remain vigilant throughout your trip and take precautions to avoid becoming a victim of crime and certain health risks. Avoid carrying large sums of cash and valuables, and be on guard for pick-pockets (especially on public transport). You should also avoid venturing out at night and into isolated areas, especially if you are alone or a woman. Women should be wary of the local men. Dressing conservatively and not being too friendly can ward off unwanted attention and help prevent harassment. Stick to bottled water, avoid street food, and only eat at restaurants that are busy to avoid food poisoning. And although the monkeys are a fascinating part of the city, you should avoid contact with them and not carry around food – they can spread disease and be aggressive if they want your food. It is highly recommended that you familiarise yourself with the local laws and customs before arriving and obtain travel insurance to cover theft and medical expenses. Mosquito-borne diseases are common in India, so medication and the necessary precautions should be taken to avoid bites. Immunisation against hepatitis A / B / E, typhoid, TB, cholera, Japanese B Encephalitis and rabies is highly recommended. You should also ensure your vaccinations for MMR, diphtheria-tetanus-pertussis, meningitis, varicella, polio, and influenza are up to date.